-BirdBall brings new life to the old game of fetch. 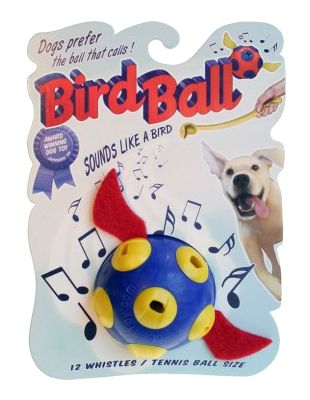 -The farther and faster you throw BirdBall the louder it whistles and chirps, so dogs always know when and where BirdBall is thrown. 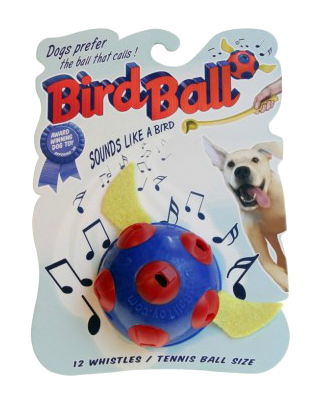 -You will never have to fetch a ball again yourself because your dog will always hear BirdBall flying through the air. 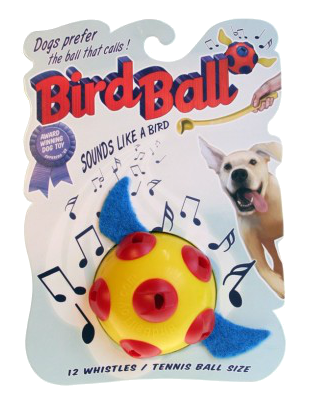 -If your dog likes squeaky toys, then it will love the bird-like chirping sounds BirdBall makes when you throw it. -BirdBall is not electronic, it chirps from air flowing through its 12 whistles. 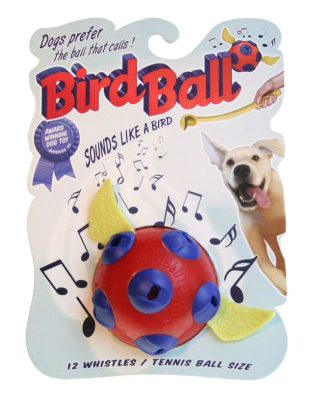 -BirdBall is ideal to play with at the park. 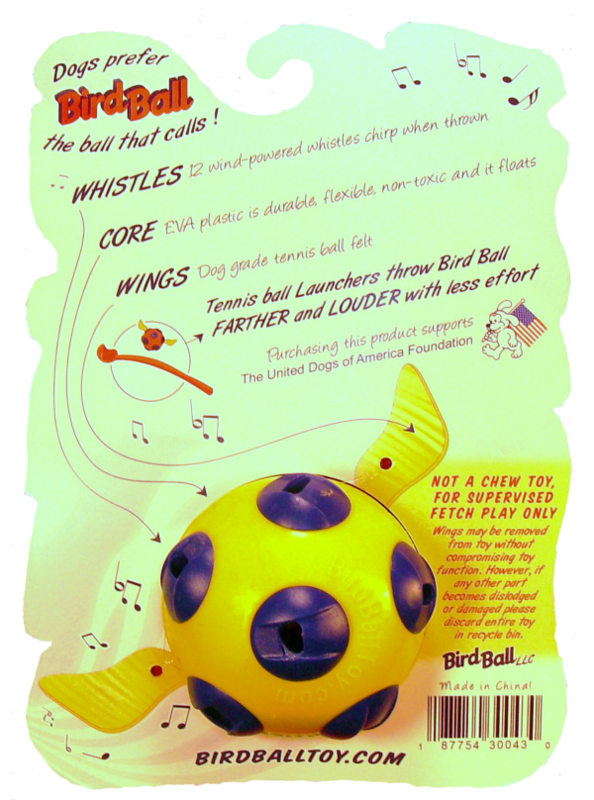 -BirdBall is compatible with tennis ball launchers. -BirdBall is uniquely colorful, it is durable, and it floats. 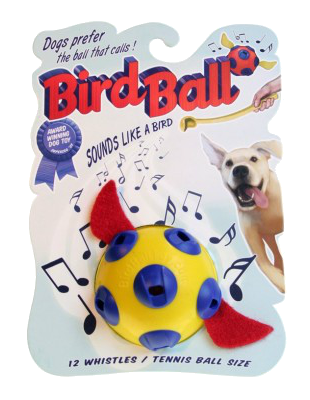 -BirdBall is made with EVA plastic; the wings are made of fleece.